Income Tax officer in Dinesh Meena allegedly demanded Rs 65 lakh from Mahesh Mori, a resident of Limdi. Ahmedabad: The anti-corruption bureau (ACB) has lodged a case against an Income Tax officer and arrested a chartered accountant, who was acting as a middleman, for allegedly accepting Rs 8 lakh bribe from a petrol pump owner. 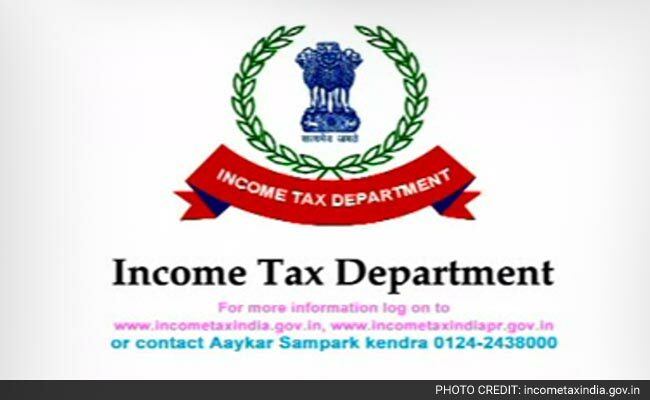 A class-II Income Tax officer in Dahod, Dinesh Meena allegedly demanded Rs 65 lakh from Mahesh Mori, a resident of Limdi in Jalod taluka of Dahod district in Ahmedabad, who runs a petrol pump there, following a search operation carried out at his premises in which he was shown as possessing property worth Rs 7 crore. Mr Mori paid the accused Rs 7 lakh as first instalment on March 11, and was asked to pay another instalment of Rs 8 lakh yesterday at the office of the Income Tax department, the ACB said in a release. The ACB arrested chartered accountant Bharat Agarwal, who was acting as a middleman, soon after the complainant handed over Rs 8 lakh to Meena, it said. Income Tax official Meena and an unknown accomplice managed to escape from the back door, the ACB said, adding that they are looking out for them. "Income Tax officials had carried out search operation at the petrol pump of the complainant on March 9. To save the owner from harassment in paying tax on property worth Rs 7 crore surveyed by the accused, Rs 65 lakh was demanded as bribe, of which Rs 7 lakh was paid as first instalment on March 11," the release said. "Mr Mori was again called yesterday to the Income Tax office in Dahod to pay another instalment of Rs 8 lakh. He offered the money in the presence of Mr Agarwal and another unknown person. While Mr Meena and the unknown person left from backdoor, Mr Agarwal was arrested as soon as he emerged from the office," the release added.